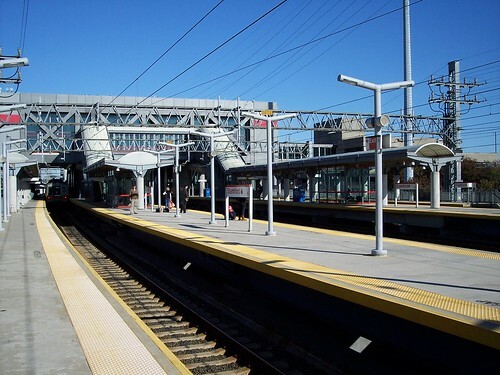 The Stamford station sits above the tracks and has multiple high level platforms. On our trip from New Canaan to Mount Vernon East we changed from the New Canaan shuttle to the local train here at Stamford. The New Canaan shuttle sits in the shadows to the left. Photos of the old Stamford station can be found on the I Ride The Harlem Line blog.